Families or groups of friends love this big open house with plenty of room and lots of amenities! A sprawling elevated home with three bedrooms and three en suite bathrooms, this is one of those places where everyone in your group will be able to find plenty to do, while enjoying a laid-back atmosphere and lots of room to relax. Located at the end of a deep water canal with direct access to Tampa Bay and the Gulf of Mexico beyond, boaters will welcome the opportunity to use the 10,000-pound boat lift and dock. * Bring a boat from home, or rent one from a local marina. The dock is also a fun place for fishing, and if you're lucky, you'll catch sight of one of our local manatees and perhaps a brand new calf! They love swimming the canals in hopes of finding someone to visit. The living and dining areas, along with the kitchen, open onto the big front deck. In season, most guests like to keep all the French doors open for a real sense of outdoor living. The front deck is a great spot for dining al fresco while enjoying views of happy travelers out for a taste of the sun, and even a lovely view of Tampa Bay across the street. A heated pool and hot tub are perched canalside, with a large open patio that's the perfect place for a picnic. 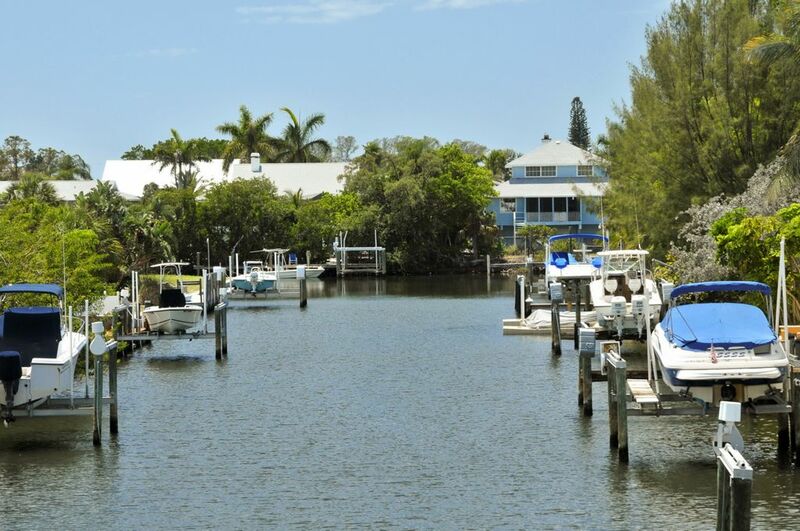 An upstairs deck overlooks this area, offering lovely views down the canal to Bimini Bay. Inside the house on the first level you'll find a bedroom that can be made up as two twins, or as one king-size bed. Tell us when you book which you'd like, and our housekeeping staff will take care of the setup. Another bedroom at the front of the house features a daybed with trundle, along with a built-in twin on the other side of the room, a large walk-in closet, and en suite bath with walk-in shower. This bedroom has French doors that open directly onto the large front deck, allowing refreshing breezes into every corner. Upstairs you'll find a master bedroom with a queen bed, en suite bath with walk-in shower, and a private deck boasting fabulous views over Tampa Bay and the Sunshine Skyway bridge. Be sure to watch for the big cruise ships on their way out to sea; it's fun to imagine where they might be traveling! Ready for a salt-water swim and the feel of sand between your toes? 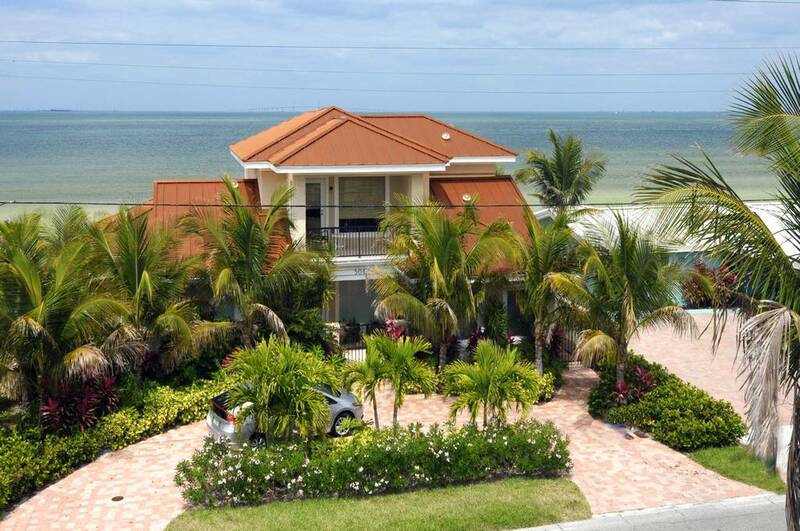 The beautiful white-sand beach and crystal-clear waters of Tampa Bay are just across the street. The water here is shallow with a sandy bottom, so it's usually a great place to swim with children, or just float on the smooth waters. Fishermen love to wade out a distance from the shore and cast their lines, while shell-seekers know they're likely to find something special in this relatively unpopulated section of the beach. 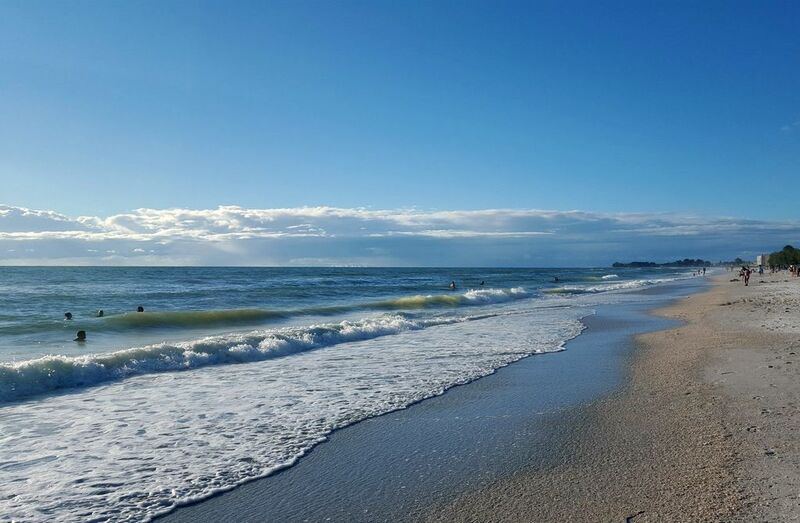 The charming Historic Anna Maria City Pier is just 200 yards down the beach. 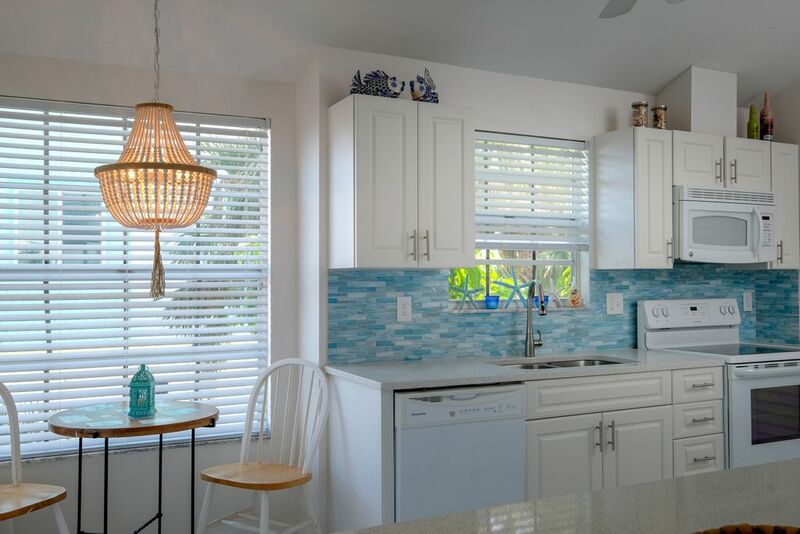 When the shopping bug bites, or you feel like eating out, you can walk to Anna Maria's restaurants and shops, as well as the Historic Society Museum and Community Playhouse. Ready for something a bit further afield? Catch the free Island Trolley to travel the length of the Island from 6 am to 10 pm. Get off anywhere to access the Gulf beaches, walk as far down the beach as you'd like, and then catch the trolley for a ride home...all you need is shoes to get on and off the Island's favorite mode of transportation. Sleeps 7. Small dogs considered with a non-refundable pet fee. Stays of less than one week may be available depending on time of year. *DUE TO LOCATION CONSTRAINTS, BOAT LIFT IS ONLY AVAILABLE FOR BOATS MEASURING TWENTY FEET OR LESS. It was a lovely vacation. The house suited the criteria that my husband's children had. We loved walking around town and on the beach. We will come back again!